If all goes according to plan, the Phillies won't have a draft pick as high as Monday's for quite some time giving this year's third overall selection in the first-round of Major League Baseball's amateur draft even more consequence than usual. The pick also carries significance because it's the lone selection the Phillies have over the first three rounds of the draft, meaning more than 100 players will be selected from the time the Phillies make their first-round pick until they pick again in the fourth-round. The club relinquished their 35th and 78th selections by signing free-agents Jake Arrieta and Carlos Santana this past offseason. Despite the lack of early picks, the Phillies can certainly add talent to a farm system that's graduating players to the Majors at an impressive clip, particularly of late. "It's a very strong pool of college players," said Johnny Almaraz, Phillies Amateur Scouting Director. "There's a lot of pitchers out there. A lot of pitchers out there with arm strength ready to pitch, so with that being said I see this draft moving in the direction of clubs jumping on college players quickly." It's assumed, at this point at least, that Detroit will select Auburn University hurler Casey Mize with the overall No. 1 pick (see why) and San Francisco will follow with Georgia Tech catcher Joey Bart. From there, Almaraz will look at the draft board and go with the best available player. "I've never looked at the organization and viewed things as far as need," Almaraz said. "My job is to evaluate talent. We will not take a position player, to give you an example, that is less of a prospect because we need one, over a pitcher that we see as a frontline starter. That's just an example, but you have to take the best available player with ability and give Matt [Klentak] all the pieces we can possibly give him." That could be Wichita State third baseman Alec Bohm, Florida righty Brady Singer, or Oregon State second baseman Nick Madrigal. 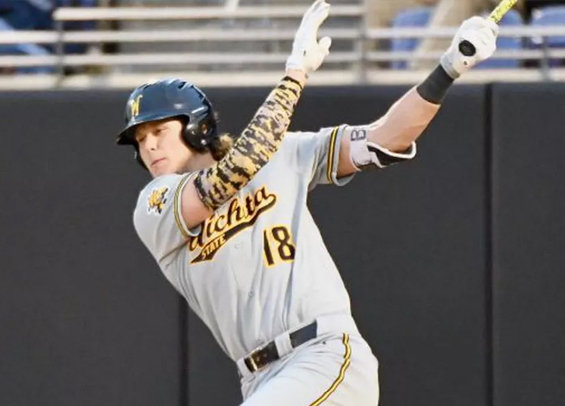 Bohm is a pure hitter and is believed by many scouts to be the best all-around college bat available in the draft. The junior third baseman hit .338 with 16 homers and 55 RBIs in 57 games with the Shockers. Singer, at 6-foot-5, 180-pounds is Florida's ace with an above average fastball complimented by a standout slider. Madrigal is an outstanding defender and hits for contact, though he doesn't have much power. "We want to make sure these players know how to play the game, and that they have ability," Almaraz said. "It's so much easier for our player-development staff to handle kids who have some type of knowledge of the game and are pretty strong fundamentally coming into the organization. It really makes things a lot easier for them. They don't have to work from the ground up." The No. 3 pick comes with a bonus slot of $6.9 million.